PRIVATE TOUR 1-6 PEOPLE This is a private tour designed for 1 -6 people with your own tour guide for the day. Visit The Kelpies and The Falkirk Wheel. Pick up and drop off at your hotel. Travel in luxury and discover these modern marvels of Scotland. Our first stop on this tour by Tartan Tours Scotland is at The Kelpies. Standing next to the Clyde and Forth Canal and near the River are the impressive 30 metre high horse head sculptures called The Kelpies. 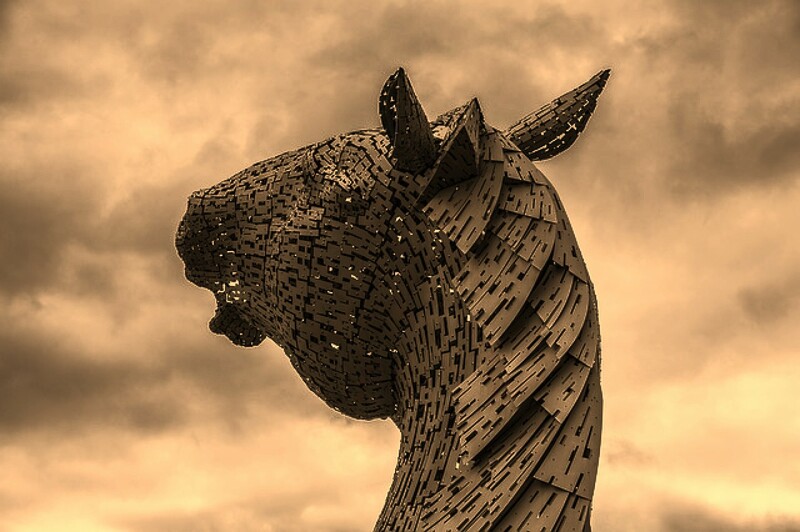 Built in 2013 The Kelpies represent mythical water horses and are to represent the horses role in industry, agriculture and tow horses for the canals. In the first year alone over 1 million people visited these fantastic sculptures. Andy Scott the sculptor designed The Kelpies with a steel structure and stainless steel cladding and each sculpture weighs in at 300 tonnes. 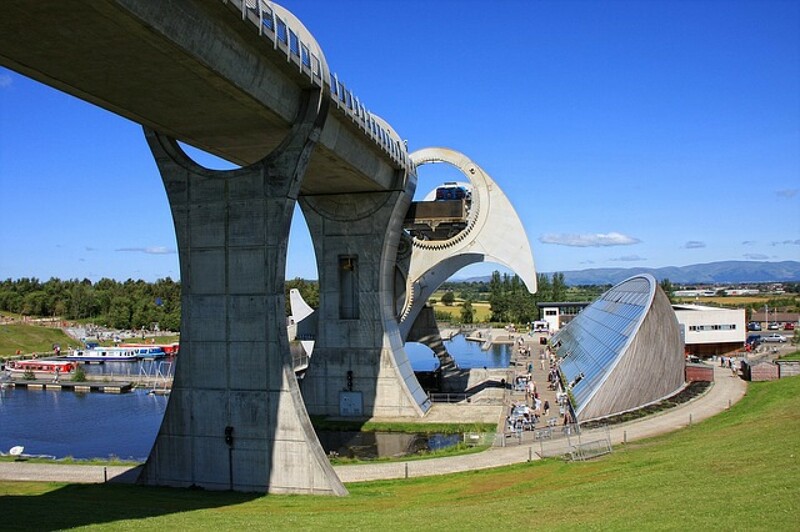 Once finished at The Kelpies, Tartan Tours Scotland move the tour onto the only rotating boat lift in the world. The Falkirk Wheel, which connects the Forth and Clyde Canal to the Union Canal. Opened in 2002 The Falkirk Wheel raises boats 24 metres high. From the visitor centre on the East side of the lower basin there are hourly boat trips which allow you to sample The Falkirk Wheel. 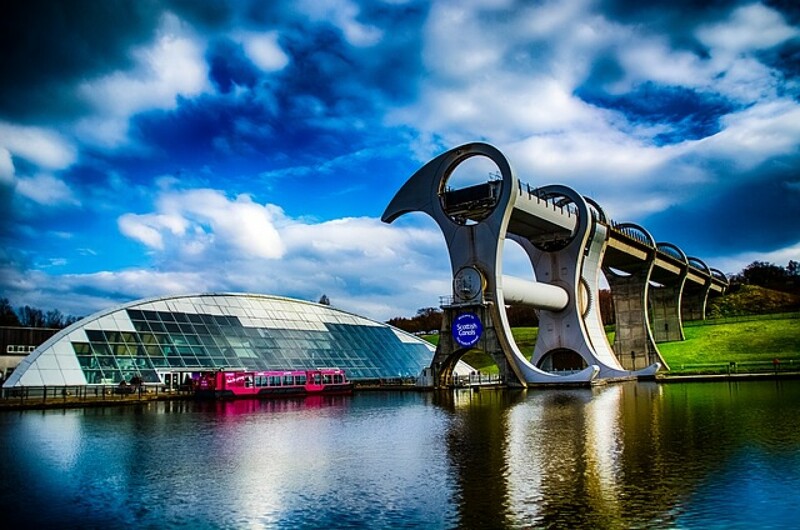 Since opening The Falkirk Wheel has attracted 4.4 million visitors of which 1.3 million have taken the boat trip. We cater for all your needs, which includes collection, and transportation to both locations, and personal tour guide for the day. We suggest you allow 3- 4 hours to ensure you make full advantage of this memorable day with Tartan Tours Scotland. 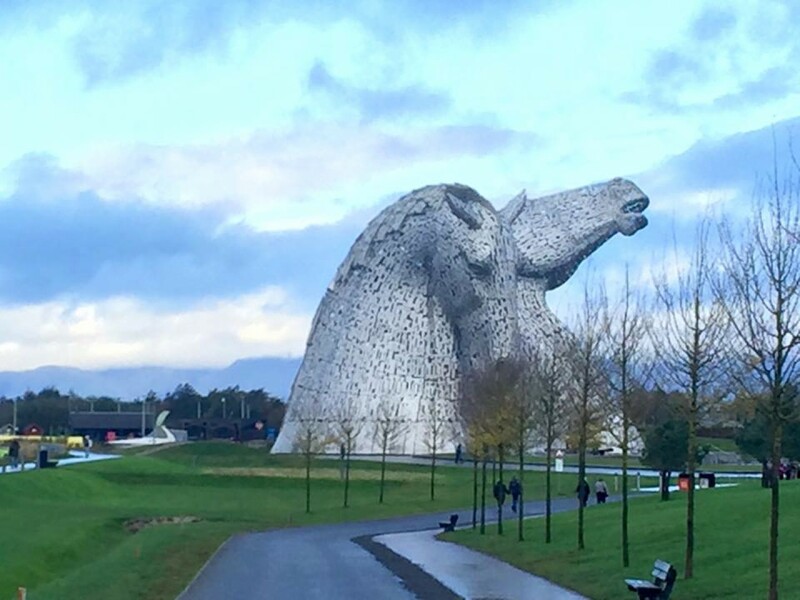 The Kelpies and Falkirk Wheel is one of our most popular tours. We are delighted to offer an early payment discount for this fantastic tour. Please add Code 27765 to your inquiry and one of our staff will be in touch to organise your tour. 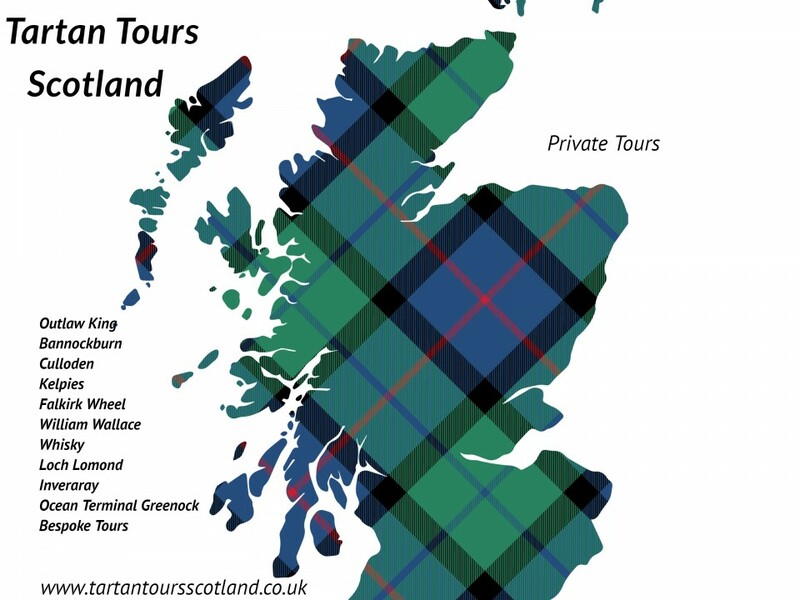 Tartan Tours Scotland offers Private Luxury tours of Scotland for 1 -6 people. Our tours include. Kelpies and The Falkirk Wheel Bannockburn and Stirling Castle William Wallace Inveraray and Loch Lomond Culloden Whisky Bespoke Tours New tours for 2019 Outlaw King Jacobite Tour Outlander Mary Queen of Scots Each tour is designed to give you an unforgettable experience. You will be collected at your hotel or arranged pick up point. Travel in luxury with your party and your Private Tour guide to your destinations. All you need to do is sit back, relax and enjoy your day. See the real Scotland, with real Scottish people then Tartan Tours Scotland I can assure you will provide you with a truly Scottish Experience that will be unforgettable.